John Paulson of Paulson & Co, the legendary hedge fund manager who made tens of billions betting on the mortgage crisis between 2007 to 2009, likes gold. He really likes it. He likes gold more than a friend. 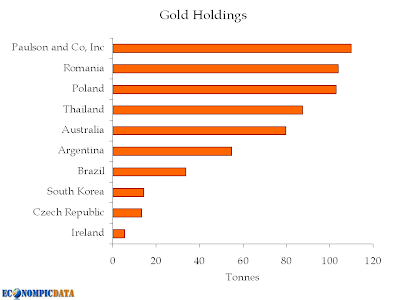 To most market participants, this is not news, but here’s something you probably didn’t know: Paulson owns more gold than several major countries! Combined! 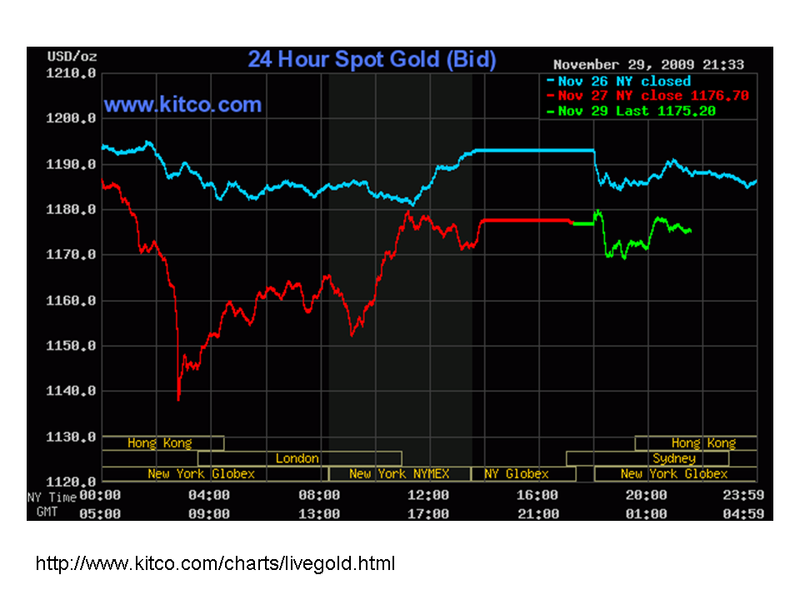 Gold had at one stage dropped as much as 5 per cent as it responded to safe haven flows into the dollar. 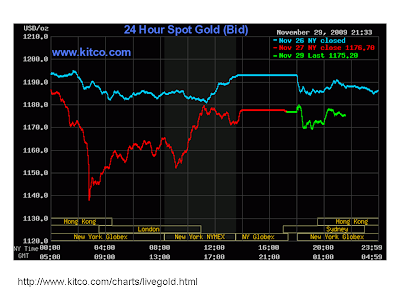 The precious metal has since recovered to trade about 3 per cent lower at $1,155.80. Don't fret... gold has snapped back / stabilized and now is once again within striking distance of new highs (chart below per Kitco). Regardless of what is or is not a justified price for gold, the only thing that matters is the next price that a buyer or seller is willing to transact. And while I continue to expect to see a one-sided trade, when that one sided trade ends, it has the potential to get real ugly, real fast (though I think we are still a long ways away) as this "tonnage" hits the market. Can you say GOLD BUBBLE? Gold has historically traded in tandem with other commodities but has become completely unhinged at this point. what's you timing of the dive? what happens if it hits $2000 before $300? Can you say WIPED OUT? Go ahead and short gold and have your head handed to you. 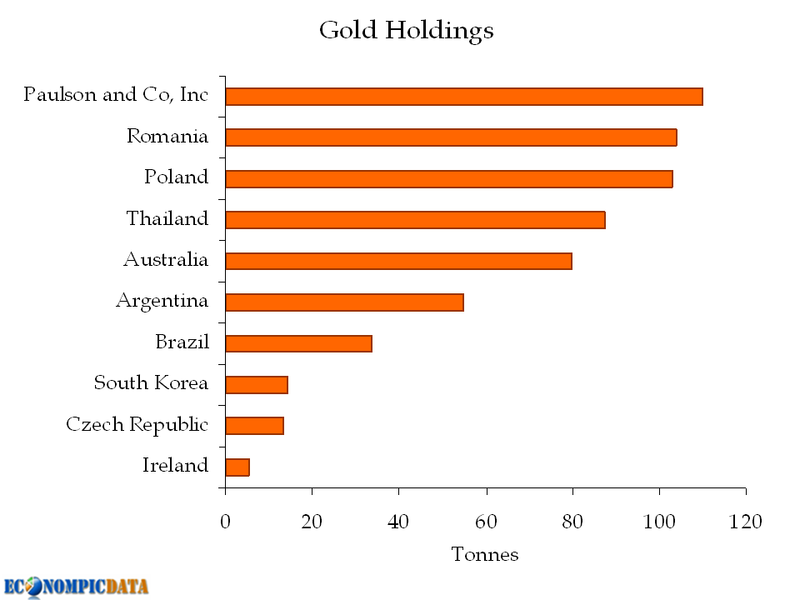 There is a significant difference between a government entity owning gold and a private one. It's a question of financial obligations and a need for liquidity. A small panic among the hedge funds can result in a collapse of the price of gold much in the way oil dived from about $150 to under $50 within a very short span of time. agreed. as i've detailed before, i am currently long, but via options (vol is expensive, but i believe underpriced). actually greenspan and bernanke are not entirely wrong - today, no one can say whether gold is in bubble territory or not, the opinions are all across the spectrum. something more severe than dubai can (and WILL) happen, and trigger a multiple 5% correction, and the bubble is burst as paulson's lucky bet comes to an end; today, Japan may decide to print 10 trillions more, and all markets double, and gold bugs would be vindicated. take your pick. Durable Goods Down, But Out? Has Euro CPI Seen Its Lows? Japanese GDP... 4.8% Growth, but Ugly? Just One Super-Secular Mean Reversion? Will There be Appetite for Another Stimulus Plan? Where are Long Bond Yields Going? Anyone Ready to Ride the Golden Bubble?